Can’t seem to finish the business bestsellers on your nightstand? Don’t sweat it. Reading blogs (on a variety of different topics) can be a great way to stay in touch with what the most interesting minds in business are discussing now—and it takes a lot less time. Here are 10 popular blogs that touch on small business financial matters—a topic that can help you keep your business growing in 2017 and beyond. Well-known venture capitalist Fred Wilson, co-founder of Union Square Ventures, has been investing in entrepreneurial companies since 2003. In this daily blog, he offers his take on financial matters that will interest many small business owners, as in “What is going to happen in 2017,” his predictions for the Trump administration’s first 100 days and beyond. Chock full of articles on topics like financing, insurance, and small business borrowing, this blog can save you hours of research time. AllBusiness.com’s annual roundup of the most popular articles of the year is like the mini-executive education course you don’t have time to take. You may have heard of a little company called American Express. 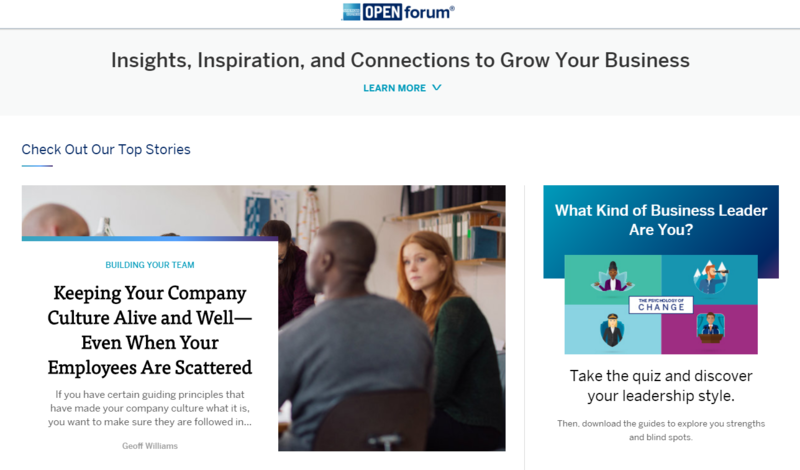 Unlike much of their other content, OPEN Forum is written for and contributed to by small business owners and entrepreneurs. The content can help you tackle many of the financial tasks that small business owners face. Their blog covers many different topics, but their forte is understandably in the “Managing Money” channel. Recent topics include 10 questions to ask before hiring your small business accountant, five ways business owners can help repair business credit and how to set an annual budget for any company. 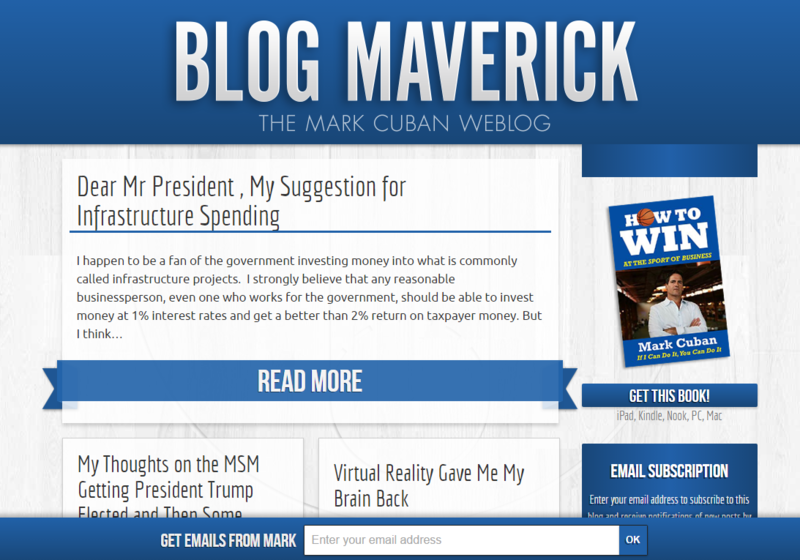 Billionaire Mark Cuban weighs in on big topics that affect business owners on his colorful weblog. Clearly he’s doing something right in the entrepreneurship department, and we can all benefit from the fresh perspectives his blog offers. A recent post, for instance, offers Cuban’s take on how the new administration should handle infrastructure spending. Hint: It’s not on replacing bridges and highways. 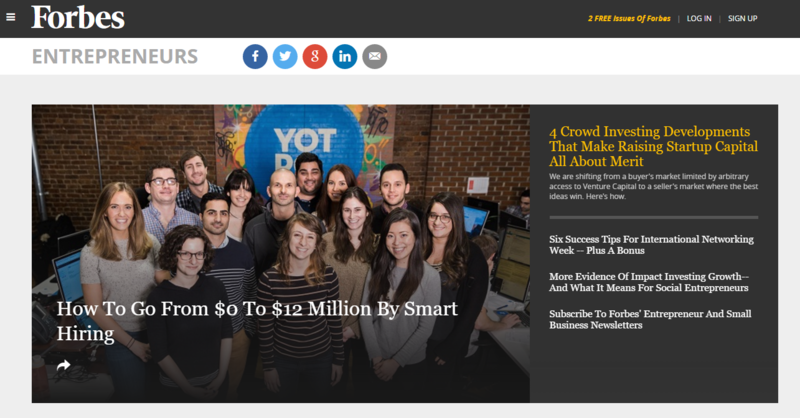 If you’re scaling a business and hope to attract outside financing or just trying to figure out how to stay competitive, this research firm’s often edgy blog should be on your must-read list. It’ll keep you abreast of the hot startup sectors attracting funding—from pet tech to artificial intelligence—and the ones that have gotten too crowded or fizzled out. The right accounting practices can help your small business keep more of what you earn. This blog, written by CPA Stephen L. Nelson, covers topics ranging from whether you should pay taxes as an S-Corp to why you should raise your prices for inflation. It’ll give you some good talking points for your next conversation with your own accountant. With a small army of bloggers and business owners sharing their views on small business trends, this frequently updated publication is full of posts that will help you meet your financial goals. Recent topics include how your small business can raise money from the community, trends affecting small business lending and how to qualify for a small business loan. Wondering why people leave your website without converting into customers? 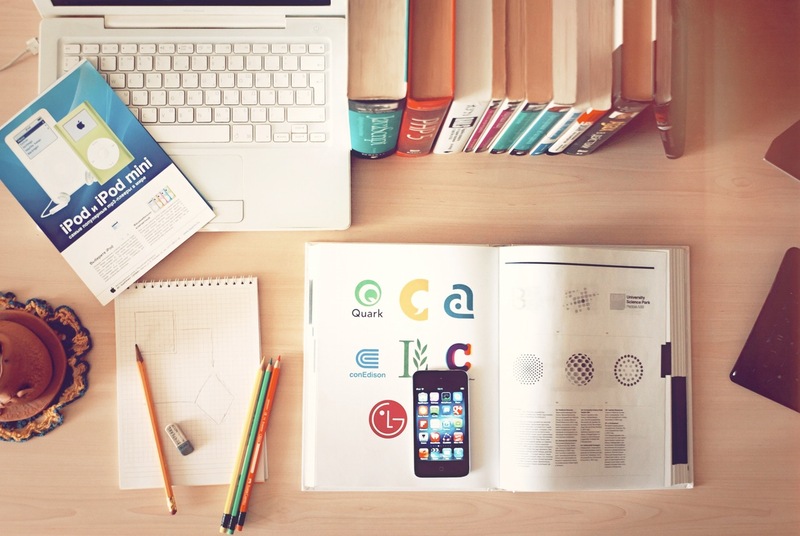 Struggling to generate your first ecommerce sale—but not sure how to do that? This long-running blog offers frequent posts that will help you overcome challenges like these so you can generate more revenue. If you’re looking to stay on top of trends that are fueling small business growth, you won’t want to miss this blog by Emergent Research, a firm that covers the key social, technology and business developments influencing small business. Recent issues have covered the “conscious coziness” trend, rural and small-town entrepreneurship and forecasts for the gig economy. Any small business owner looking for new revenue streams will come away with ideas from this blog. Don’t miss author Pat Flynn’s monthly income report. It offers a candid window into how he generates the revenue in his business—which brought in $1.7 million the past 12 months, with nearly $1.3 million of that in profit. Learning from other businesses can be a great crash course in how to grow your own in the coming year. So next time you find a few minutes to make a minimal dent in your 300-page self-help book, turn to one of these blogs for fresh takes on what’s in store for your small business in 2017 and beyond.